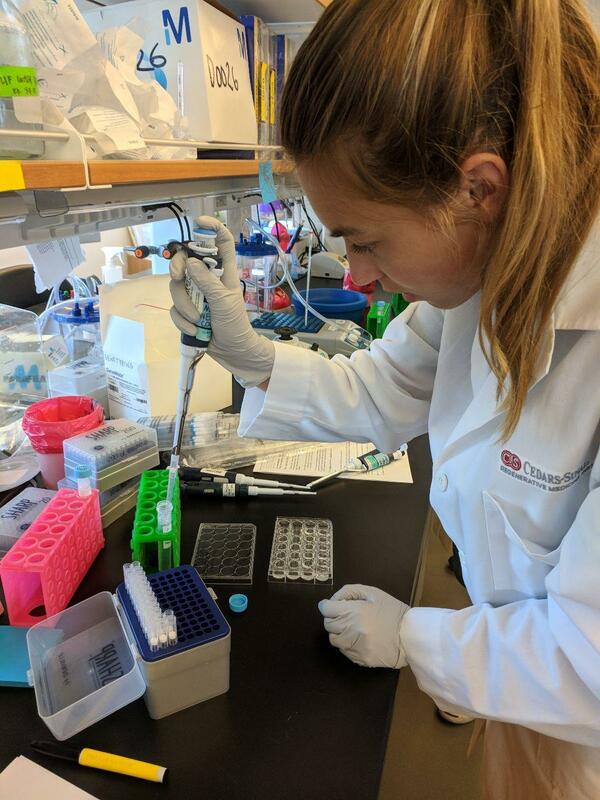 El Segundo High School alumna Kate Johnson leveraged her interest in cell biology to secure an internship in a research lab at Cedars Sinai Medical Center last summer. 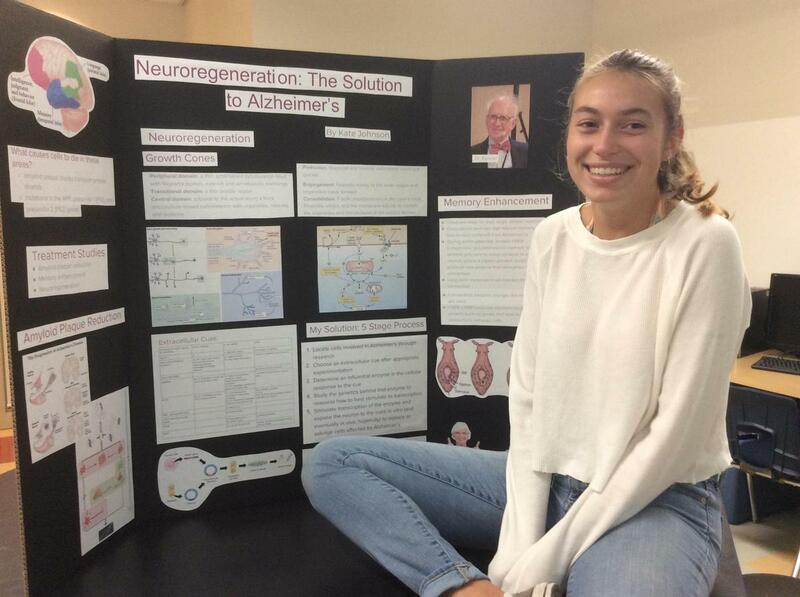 The 2018 ESHS graduate completed four years in the Biomedical Science Pathway, which put her in an excellent position to be accepted to the prestigious High School Outreach Research Week hosted by Cedars Sinai. The purpose of the internship program is to promote stem cell research awareness and have students learn about the use of stem cells for translational studies in regenerative medicine as a means for accelerating the delivery of stem cell based therapies to patients with unmet needs. At Cedars Sinai, Johnson was placed in the Regenerative Medicine Institute’s Svendson Laboratory. According to its website, the research lab is dedicated to studying neurodegenerative diseases such as amyotrophic lateral sclerosis (ALS), Huntington’s disease, and Parkinson’s disease using stem cells as a disease treatment, as well as a tool for modeling these diseases in vitro. Clive Svendsen, PhD, has significant experience in studying these diseases over the last twenty years and is merging his experience with the use of leading-edge technologies, such as inducible pluripotent stem cells (iPS cells). During her week at Cedars Sinai, she was paired with a researcher in the lab to stain and study iPS cells to ensure they reached neural progenitor stage. Staining means adding antibodies with attached fluorophores that bind to biomarkers on the cell membrane. The neural progenitor stage signifies the halfway point on a stem cell’s journey to become a neuron, so it lets the researchers know the added growth factors are working. They also worked on growing motor neurons in a dish to test different medications as potential treatments for motor neuron diseases. This included scraping off differentiated cells before the presence of added growth factors, replacing the media (liquid full of cell nutrients) each day, and transferring the cells to new plates once they fully covered the bottom of the old culture. In addition to working in the research laboratory, student participants also prepared a presentation that they delivered to the Regenerative Medicine Institute’s scientists. 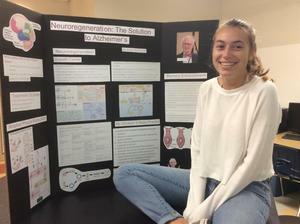 “I was so excited to find out about the research being conducted in the Svendson Laboratory because I was learning about Alzheimer’s disease in the Biomedical Science Pathway at ESHS and doing related research for my senior capstone project,” said Johnson.